LB Graham has been a wonderful asset to the Realm Makers faculty in the past, and we’re so glad he agreed to join us again. Why do we like him so much? Well, just read on to find out why! Probably like most writers, I loved to read. So, the simple answer is books. Stories. And, like many fantasy writers, I was greatly impacted by C.S. Lewis and The Chronicles of Narnia when I was fairly young, and then even more so by Tolkien’s The Lord of the Rings when I was a bit older. The depth and scope of Tolkien’s creation was remarkable. I think that even as a young reader I knew I was experiencing something extraordinary. Years later, after thinking about writing fantasy for a while, I decided to actually do it. It had always felt presumptuous for me to try to do what these writing giants had done, but the very practical thought that they were gone and would write no more helped me to realize that if new fantasy stories were to be written from a Christian worldview, others would have to do it–so, why not me? 2. What do you think makes fantasy writers unique? If I might push back a little on this question, what actually strikes me is how similar all good writing and story-telling is. It’s true that fantasy, or more broadly, speculative fiction, often specializes in the strange, the odd and of course, the fantastic, but at their heart good fantasy stories need the same things that any good stories need: interesting characters, conflict and difficulty to fuel their journey, and hopefully, a good grasp of both the details of writing (like language, sentence structure, and dialogue) and the big picture things like a well-constructed plot and themes that tie the story to shared human experience. There’s more, of course, but you see my point. 3. What do you think most writers need to work on when it comes to speculative fiction in general? This is hard, and I could pick a lot of things here, but one of my pet peeves with a lot of fantasy is the names. I think that sometimes fantasy writers just come up with strange looking or sounding names and think because they are odd, they are fantastical, when in fact I think there’s a real art to inventing names, not just for people, but names of places and things too. I would say that much of my hardest work in creating worlds and stories in those worlds that work is in finding names that both signal to the reader they are in another place but also somehow seem to be right, to fit the world they are in. 4. How do you balance a full-time job and writing? For most of my career the answer has been discipline, setting aside a certain number of hours each week, protecting those hours, and then using them to write. I write however many pages I can in that time, and when the time is up I stop. Then I come back and do it all over again during the next window of time I have. Those pages becomes chapters, and those chapters become a book, and step by step the race is won. It isn’t won in a day, it is the hundred smaller steps along the way that gets me from the starting blocks to the finish line. Food: So many options here, but probably pizza. Book: Too many options here, also. LOTR of course. Ender’s Game maybe. Cry the Beloved Country. To Kill a Mockingbird and The Great Gatsby are books I’ve taught and love very much too. Movie: The Shawshank Redemption, or possibly Notting Hill, which surprises people, but the script is nearly flawless. 6. What do you hope attendees will get out of your workshop, Keeping the Magic in Christian Fantasy? Mainly, I want to continue to encourage Christians who write fantasy to think through questions of worldview. This session will be more autobiographical than my others in past years, since I want to tell my own story as an illustration of why I think we should be careful to resist the temptation to avoid the possible complications from creating stories that include ‘magic’ in favor of stories that avoid those complications by having the fantastical powers and abilities we create have some kind of natural cause–you know, like a superhero getting his power from some kind of radiation exposure, etc. Why that trend concerns me will be very much at the center of my talk. 7. Do you have any advice for the newbies? Lots and lots, but mainly it boils down to practice. For some reason, even though life has shown us that to be good at almost anything we have to practice, practice, practice, I find lots of new writers think that they should be really good right away at writing. This often shows up in the emails I get that basically say, “I’ve written a book, now how do I publish it.” That’s a perfectly understandable question, especially from those who have already labored to learn and practice their craft, but often that’s not the case. So, practice, practice, practice. Read good writing, and write yourself, as much as you can bear to. You’ll learn from your failures and your successes, and over time, you will get better. Thank you, LB, for joining us on the blog today. 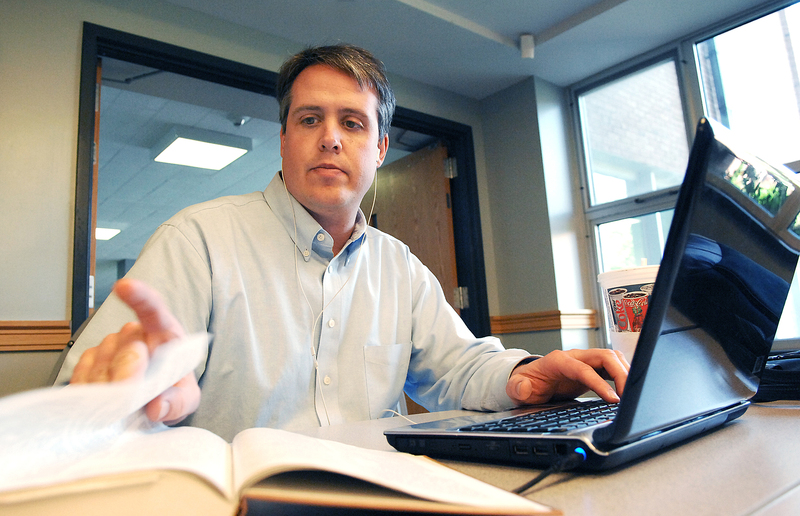 It’s always nice to get a little bit of insight into the man behind the writer, or workshop presenter. 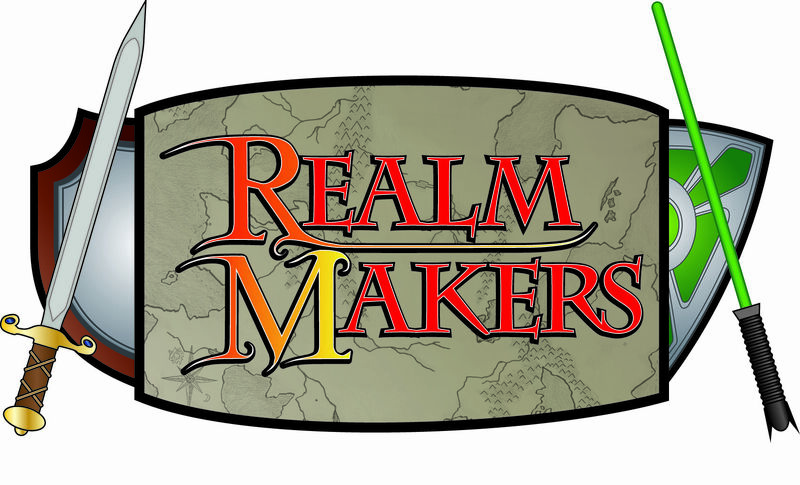 We look forward to seeing you at Realm Makers in August! Previous Previous post: Announcing the 2015 Parable Award Finalists!